Following last week’s episodes with Berner and Getter, the latest to take to the No Jumper hot seat was Chicago’s own Lil Durk for an interview you don’t want to miss. Kicking things off with details on his next project, both Adam and Durk chopped it up for a good 30 minutes on an array of topics including the early days of the drill scene, the late Fredo Santana, OTF and Chief Keef’s GBE, a forthcoming collab with Juice WRLD and much more throughout the discussion. 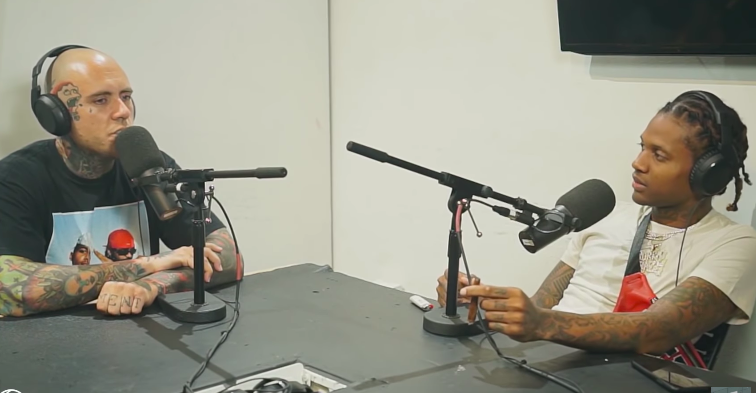 It’s no surprise that Adam22 has now reached significant corners in Chicago’s scene with the likes of Young Chop, Famous Dex, 600Breezy and G Herbo to name a few who have come through the No Jumper space for an interview of their own and in some cases, have similar stories from their come-ups in Chicago. That being said, don’t miss out on ‘The Lil Durk Interview’ below and go watch the past interviews on No Jumper’s page right here.